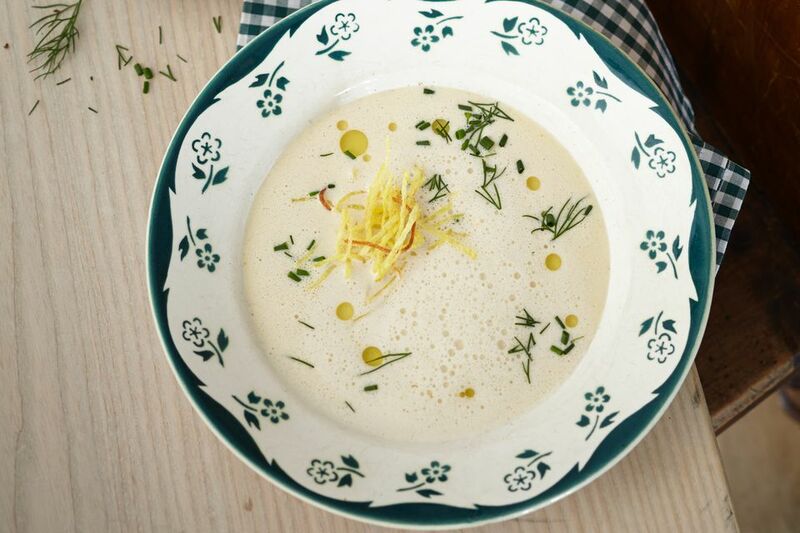 This easy updated slow cooker potato soup is flavored with fresh dill or chives. If you prefer a vegetarian soup, use vegetable broth instead of chicken broth. For a heartier soup, add 1 cup of diced cooked ham or some crumbled bacon. In a large slow cooker, combine the cubed potatoes, chicken broth, water, onion, celery, carrots, dill or chives, and butter. Cover and cook on high for 5 to 7 hours or until the vegetables are tender. Stir the evaporated milk into the soup and season with salt and pepper to taste. Continue cooking for 15 minutes, or until thoroughly heated. Use a hand mixer or potato masher to blend some of the potatoes to thicken the soup. To thicken further use instant potato flakes; to thin soup, add some milk or light cream. Top with cheddar cheese, fresh chopped chives, and bacon, if desired.